I’m not sure exactly what I expected when I traveled to West Sweden; I had visions of ABBA and Swedish meatballs swirling through my head. What I didn’t expect was the shear beauty of the region along with interesting towns and cuisine that has moved far away from IKEA style lunches. More than anything else, these photos I think encapsulate the surprising experience for me. 1. Cities other than Stockholm – Almost all we hear about Sweden here in the U.S. is centered around Stockholm. Based on the utter lack of information about the rest of the country, I just assumed there wasn’t much of interest to see. That belief was proven wrong almost immediately and as I spent nearly a week exploring West Sweden I found several cities and towns, large and small that were fascinating and fun to visit in their own right. Gothenburg was the first revelation and this large city is arguably the most important one in West Sweden. It’s access to the sea along with major industries and a massive university make the city lively and interesting. Smaller towns charmed me as well, like Bastad along the southwestern coast of Sweden. The hamlet is home to the annual Swedish Open Tennis tournament, but it’s also a popular seaside retreat in addition to its sports fame. My favorite town though was Malmo, a sometimes misunderstood city that has exited a period of neglect and is now artsy, energetic and deeply unusual, in the best sense of the word. So yes, there is indeed a lot more to Sweden than just Stockholm. 2. Food – Just as the cities surprised me, so did the food. I am not a seafood or fish eater and I was frankly worried, knowing that both feature heavily in Swedish cuisine. However, as I learned it is not the sum total of what Swedes eat and nearly every meal was enjoyable and different. The food I tried was a little heavy, but not too extreme and featured a wide variety of meats with sauces. 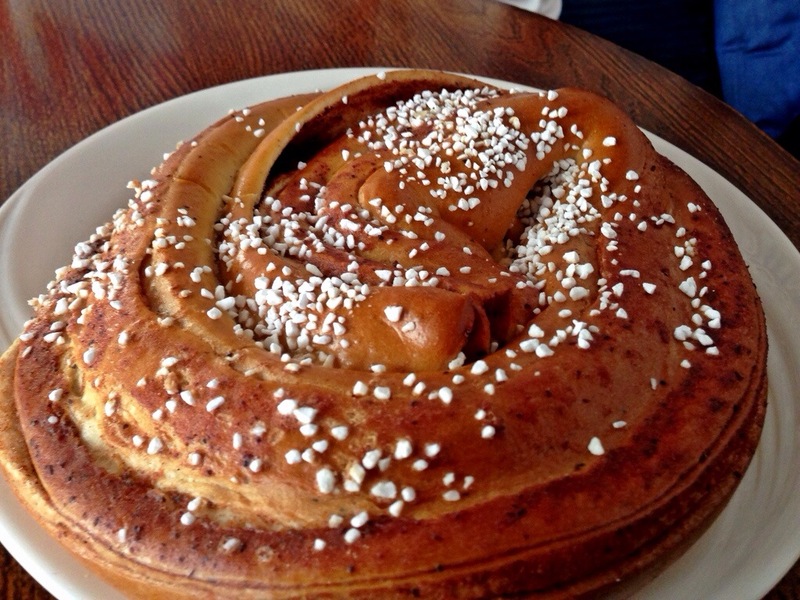 Immigration into Sweden is on the rise and with it great international restaurants have emerged. The Indian dinner my partner and I had one night in Malmo was one of the best I’ve had anywhere in the world. Classic is sometimes best though and my sweet tooth got the better of me, especially with the traditional (and massive) cinnamon rolls. Not as sweet as the American version, the large confections sprinkled with huge sugar crystals was the perfect snack on a chilly morning. 3. Rural – More than once I had to remind myself that I was driving through Sweden and not Pennsylvania or somewhere in the American Midwest. From Gothenburg to Malmo, most of the driving route took us through seemingly endless fields and farms forming the bread basket for the country. The pastoral beauty was stunning at times, peaceful scenes that instantly made me relaxed and stress free. The connection to the land is deep in this part of Sweden, and when I talked with local residents I could sense this fierce pride. They don’t live in Stockholm or even Malmo and they don’t want to. They enjoy their jobs working the land and with views like the one featured here I can’t say I blame them. 4. Colorful – It was more than the fact that Spring had finally arrived in Sweden during my visit that made me remark on the vibrant colors. It wasn’t just the verdant fields and trees that impressed me, color is everywhere to be found. The traditional style buildings impressed me the most, a line of homes in Marstrand was like an architectural rainbow, disrupting the dull greys of the sky and streets. As I later learned the colors are very common in the Swedish countryside and have been for centuries. In fact the falu red I saw on many barns is a treasured part of the cultural heritage in its own right. Poor farmers and crofters used the color for their homes and buildings along with other hues, all derived from natural pigments. I love the fact these colors are still used today, a physical representation of the love for the land most Swedes carry with them no matter where they live. 5. Nature – It’s hard to escape nature when traveling through West Sweden, which is probably why so many big city dwellers flock there in the summer to escape the urban heat. After talking with several people I learned though that it was more than that. Even the most stalwart urbanite in Stockholm has a certain respect for the countryside, for the coastal plains that help define what it means to be Swedish. Boating along the coast in Mölle, I could easily understand why Swedes hold their natural heritage in such high regard, it’s stunningly beautiful. They don’t just admire it though, they are actively trying to preserve it. At Norden’s Ark near Hunnebostrand, I learned about the amazing conservation efforts underway to help preserve native Scandinavian species, from the snow leopard to the red panda. It was encouraging to me to see such a deep respect on display, a national character trait I wish more people around the world possessed. Many things surprised me during my stay in West Sweden and I am now thankful that this was my first exposure to Sweden rather than Stockholm. It let me see a more honest side of the country, one that a big city just can’t provide. Thx for sharing. I also want to visit Sweden one day! That’s so kind and thank you! It’s a great fear, visiting a place for a relatively short period of time and trying to do it justice. Thanks for the compliment! Nice pitures, makes you long for the summer as it is currently below -10 degrees celsius here in Sweden. Был найден мной классный блог на тематику сумка мужская через плечо.